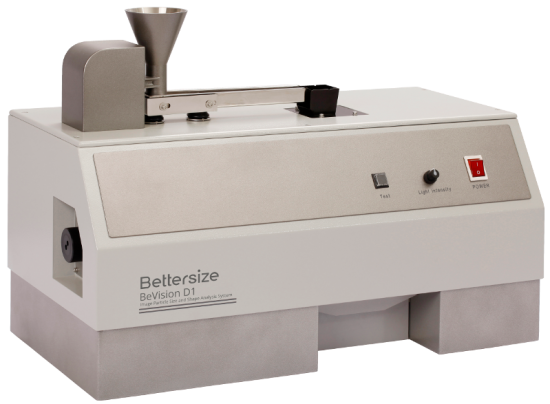 BeVision D1 is a compact, easy-to-use, dynamic image analysis system for the determination of particle size and shape. By default it is equipped with a dry dispersing unit, designed for granular and coarse powders. The optionally available wet dispersion unit is ideal for measuring suspensions and emulsions as well as powder materials in the micrometer range. The high-speed CCD camera system is capable to reach 120 frames per second, which avoids negative effects of moving particles caused by slower camera technology. Furthermore, the instrument is equipped with a powerful LED array light source and telecentric lens system. The dry dispersion system works via a vibratory feeder and a software-controlled, height-adjustable feeding funnel. At the end, the particles pass to a drop chute with a variable focusing funnel. The falling particles are detected and photographed in real time and immediately analyzed in terms of particle size distribution and particle shape. The optionally available wet dispersion unit consists of a measuring cell and an external dispersing unit, equipped with a centrifugal pump and an ultrasonic bath. 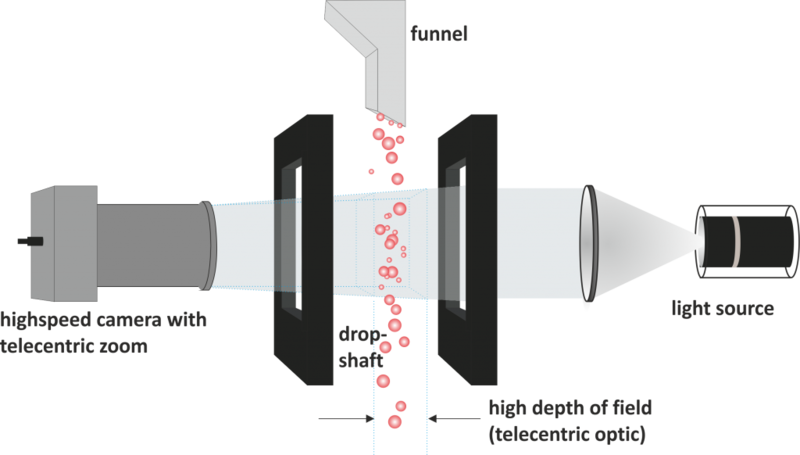 The optionally available dispersing unit BT-800 additionally allows the Particle shape analyses in aqueous media on the BeVision D1. The supplementary measurement cell of the liquid circuit can be implemented easily by pushing it into the dry disperion cell, which guarantees a quick and easy change between wet and dry measurement without any additional hardware or software changes thanks to the self-sufficient operation of the dispersing unit BT-800. With the BT-800 a visible sample preparation by means of stirrer and ultra sound reinforcement is possible.